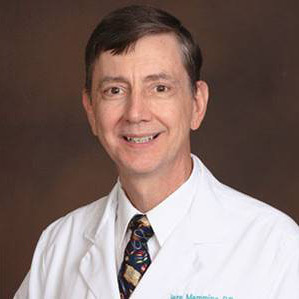 Dr. Jere Mammino completed his Dermatology training at Bethesda Naval Hospital in Washington, D.C. For eight years, he served in the U.S. Air Force and finished his career as a Major. He was twice awarded the Air Force Commendation Medal for outstanding care to his patients. Dr. Mammino is Board Certified by the American Board of Dermatology, American Osteopathic Board of Dermatology and National Board of Osteopathic Examiners. He is a Fellow of the American Academy of Dermatology and Secretary-Treasurer of the American Osteopathic College of Dermatology. Through his interest in education and teaching, he developed Orlando’s first Dermatology residency training program for which he was Program Director. Dr. Mammino also has a passion for medical missions, volunteering to work in Nicaragua, Brazil, Ghana, Ethiopia, and Kenya. He speaks to state and national audiences about various Dermatology issues and practices all aspects of Clinical Dermatology.